Nothing can beat the stunning location of Sherwood Exclusive Lara, set right on the golden sandy Lara Beach in Turkey’s Antalya. 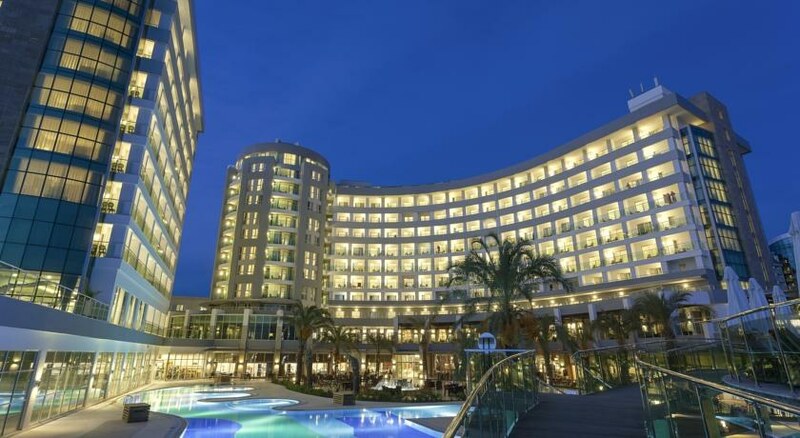 The blissful location of this award-winning hotel offers splendid views of the Mediterranean Sea from its 499 well-appointed rooms and suites, all of which feature modern amenities. Outside your room, there are plenty of leisure and entertainment options to make your stay at the hotel a memorable one. You’ll find 16 excellent restaurants and bars, refreshing pools, spa, Turkish bath, evening entertainment and an open-air amphitheatre. The family-friendly hotel offers a range of facilities for young guests. Children aged between 5 and 12 can have endless fun at the children’s club. There’s also an aqua park with numerous water slides. Sports facilities include pool games, aquatic aerobics, mini golf, table tennis, volleyball, a games room and a fully equipped fitness room. Couples can opt for the special Valentine’s Day offers at the hotel, which includes romantic dinner on 14th February, special rooms decoration, in-room breakfast on 15th February, complimentary fruit basket and wine on arrival and discount on spa services. 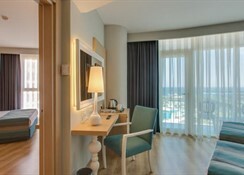 Sherwood Exclusive Lara boasts a beachfront location at the Lara Beach in Antalya. 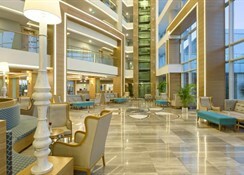 The hotel is close to the Antalya city centre (18 km). Antalya Airport is just a 15-minute drive away. Rooms at Sherwood Exclusive Lara come in a variety of categories: Standard Room, Standard Suite Room, Connection Family Room, Family Room, Junior Family Room, Deluxe Room and Honeymoon Suite. All the rooms feature standard amenities, including safe, LCD TV, central air conditioning, direct phone line, water heater, tea and coffee making facilities, balcony, mini bar, Wi-Fi and 24-hour room service. The balconies offer fabulous sea or garden views. 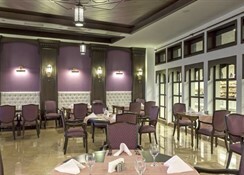 Guests can choose from a clutch of restaurants and bars at Sherwood Exclusive Lara. The Woodland Main Restaurant serves all the major meals of the day. 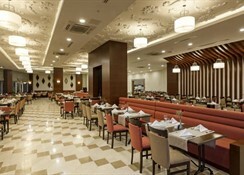 A la carte dining options include Lalezar (Turkish cuisine), Sapore (Italian) and Selenge (Far East cuisine) restaurants. There are a number of bars throughout the hotel premises, including beach bar, lobby bar, pool bar, disco bar and lots more. 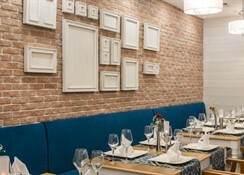 The hotel also features a patisserie where you can find everything from tea, coffee and light refreshments to pastries, cookies and ice creams. There are plenty of options for recreation and entertainment at the hotel. Sports lovers can take advantage of the outdoor tennis court, basketball court, table tennis, water polo, pool games, aquatic aerobics, mini golf, bocci ball, darts and step aerobics. The nearby beach provides a range of water sports, while those opting to stay indoors can play bowling, billiards, video games or air hockey at the games room. 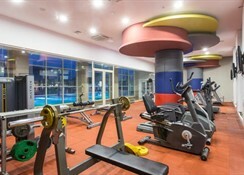 The hotel also houses a well-equipped fitness room and a refreshing spa offering a range of treatments. Kids can have fun at the aqua park that houses many water slides or engage in activities at the Robins Kids’ Club. in the evening, there are live music and entertainment shows. Good hotel not quite 5 star, good service but some areas weren’t clean but generally a good hotel. Great hotel with many things to do.